Let me welcome all of you present here, on behalf of all the members of staff of the National Broadcasting Commission (NBC), to this Stakeholders’ Forum. It is designed for Advertisers, Media Buyers, Broadcast Stations Owners and Content Makers in Nigeria. 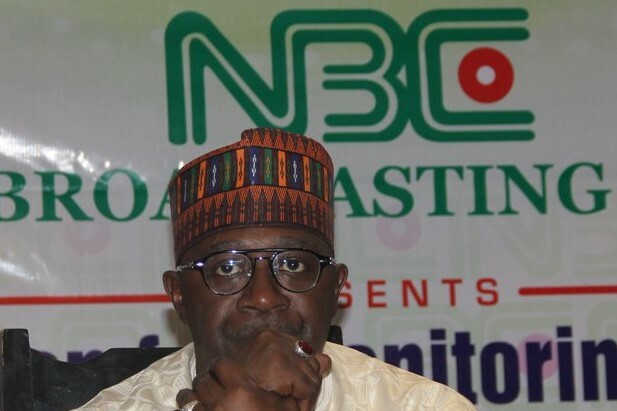 For us at the NBC, these are very significant players in our industry, and an opportunity like this is very vital for the healthy development of Nigeria’s broadcasting industry. It has become even more imperative to have a forum of this nature, as we steadily make progress on the path of digitisation of Nigerian broadcasting. We also felt that a Forum of this nature can only be meaningful if it holds here in Lagos, which is the creative heart of Nigeria, and our largest media market. One of the hopes that I have nursed in the one year that I have been at the helm of affairs at the NBC, is to be able to institute a process that would allow a regular dialogue between the critical segments represented here today. I see this as the point of embarkation for that intention. Distinguished Ladies and Gentlemen; we all know that globally, advertising expenditure and revenue help to drive the business of broadcasting. I have worked in this industry for forty years, to be able to draw from my practical experience in several countries around the world that this is a basic fact. Similarly, the advertisement industry is well established as both a socio-creative and economic lever of the modern economy. And in the context of Nigeria’s development, the advertising industry remains one with huge potentials for growth. 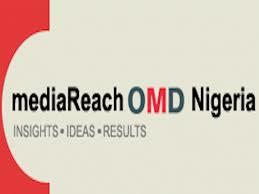 In July 2016, the Lagos-based media agency, MediaReach OMD, reported that Nigeria’s total advertising expenditure reached N97.9billion in 2015. The total advertising spending for 2015, was 5.2percent or N4.8Billion higher than the N93.1Billion recorded in the previous year. A breakdown of the nation’s advertisement expenditure in 2015, showed that television attracted the highest advertising spend of N39Billion; while print media, outdoor advertising and radio accounted for N23.7Billion; N20.1Billion and N15.1Billion respectively. On a regional basis, Lagos state alone accounted for N53. 1Billion of total advertising spend; followed by the North Central, with N12.1Billion; South West at N10.2Billion; South-South with N10Billion.There were no figures given for North West, while North East was said to have attracted less than one percent of total advertising spend; and that was attributed to the problem of the Boko Haram insurgency. There are many other fascinating facts that came out of that report, from 2016, which only strengthen the potentials available to all of us in the media. I have always wondered that we do not seem to have enough data on the industry, yet even the insufficient levels of research that is available indicate that our potentials tend to be underestimated. 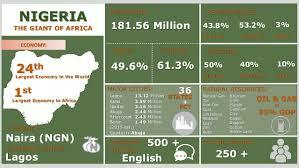 What is not in doubt is that Nigeria has a huge population, which is now over 181million people, according to Worldometer. 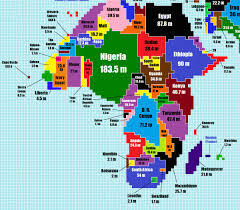 This population cannot be compared to the 54.96million people in South Africa. Yet, the South African advertisement industry is bigger than Nigeria’s; even Kenya’s advertisement industry or advertisement spend is roughly equal to ours! So the opportunities for our growth and development are limitless. One platform that would readily assist this growth is the digitization of Nigerian broadcasting. From the experience that we have gathered in the pilot phase that NBC carried out in Jos in April 2016, as well as the Abuja switch on in December 2016, the deployment of Set Top Boxes would reach about 32million television homes, by the end of the DSO. Television would become a 24-hour fare, while we envisage a surfeit of new channels, to serve the interest of a potentially huge market of consumers. We believe that this offers a win-win opportunity for all of us in the industry. But there are problems that we need to collectively solve before the industry can work for all of us. These include the unethical practices in advertising, which have been worsened by quack and or unlicensed ad agencies, plus the abuses of the APCON code as well as the Nigeria Broadcasting Code. The avoidance of Standards Panels and outright adverts sales without rules and procedure. Most disturbing is question of refusal to pay broadcasters and other corrupt practices. This has led to the collapse of several otherwise viable or sustainable broadcast entities. The Digitization of broadcasting presents a good opportunity for revolutionizing of the advert industry. There will be increased possibility of more accurate and measurable data. Advertisers can then scientifically access the demographic and other relevant information with respect to audiences. Therefore both broadcasters and advertisers can now effectively plan. The broadcaster and of course the regulators will also have an opportunity to truly compute what is due to them and also ensure quick and reliable ways of collecting them. I believe that the Advert industry will also be major beneficiary as it will hopefully be able to block leakages and entrench more transparency. Finally, it is my belief that this Forum will provide grounds for a more sustainable partnership between the broadcast industry and the advert industry.